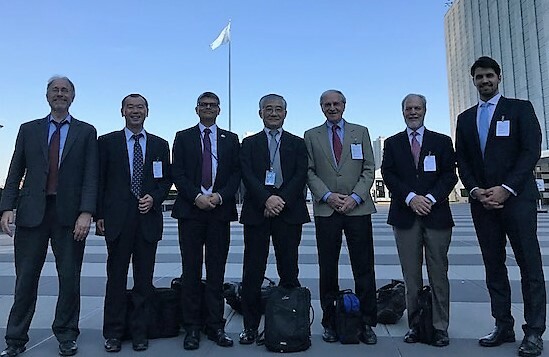 Participants from ICIWaRM, ICHARM, WMO, IHP and Princeton University outside of the UN building, New York. Photo credit: IHP. As part of the UN High-Level Political Forum on Sustainable Development, UNESCO-IHP, World Meteorological Organization, ICIWaRM and the International Centre on Water Hazard and Risk Management (ICHARM) organized a side event on Hydrology towards Sustainable Resilient Societies. The event took place on July 10, 2018 at the United Nations headquarters in New York. The meeting was led by Blanca Jimenez and Anil Mishra of UNESCO IHP, and panelists and speakers included H.E. Mahmadamin Mahmadaminov Permanent Representative of Tajikistan to the UN, Tajikistan, Paul Egerton (WMO Permanent Representative to the UN), Christophe Cudennec (Secretary General, IAHS), Harry Lins (Retired USGS and President of the WMO’s Commission for Hydrology), Toshio Koike and Tetsuya Ikeda (ICHARM, Japan), Callist Tindimugaya (Commissioner for Water Resources Planning and Regulation, Uganda), and Will Logan of ICIWaRM. 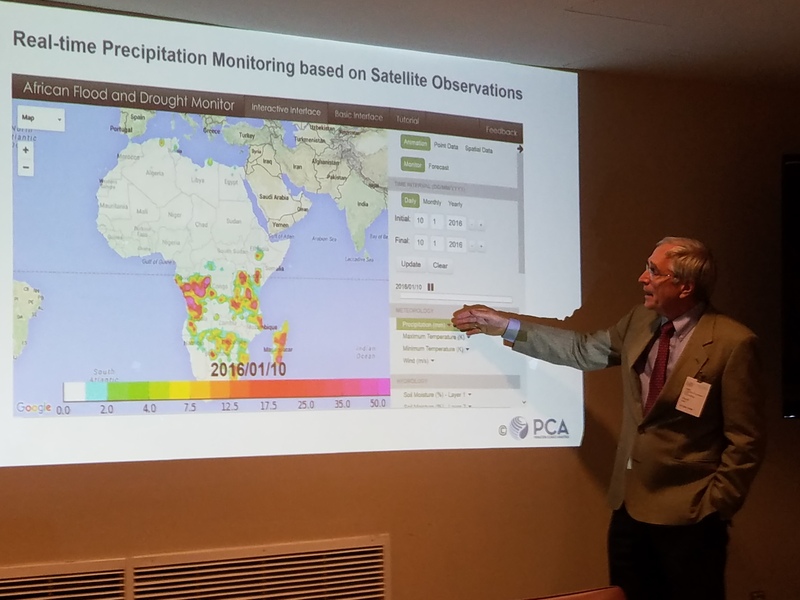 Prof. Eric Wood of Princeton spoke on the Princeton’s Flood and Drought Monitor tools, developed in collaboration with ICIWaRM and UNESCO IHP’s G-WADI program. Discussion centered on two primary themes: a) The need to do more disaster prevention on the front end rather that disaster response on the back end, and b) Developing the capacity of hydroclimate services. The importance of collaboration among IHP, WMO and IAHS was underscored as well.